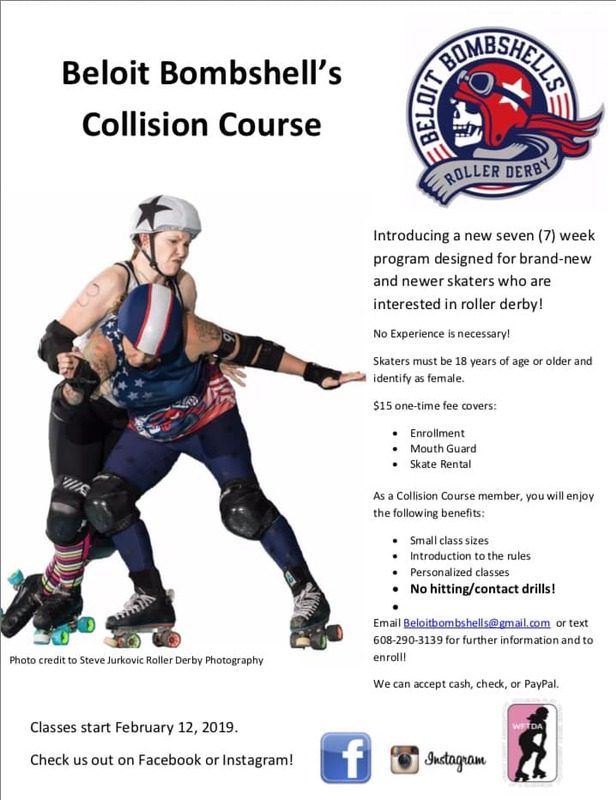 Introducing a new seven (7) week program designed for brand-new and newer skaters who are interested in roller derby! Skaters must be 18 years of age or older and identify as female or non-binary. Email Beloitbombshells@gmail.com or text 608-290-3139 for further information and to enroll! We can accept cash, check, or PayPal.